Nest is getting into the home security game with Nest Secure. The company that helped revolutionize home heating and cooling control says its smart sensor-based system will be significantly easier to use than existing home security systems, and it’s offering professional monitoring as an optional service via a third party. The Nest Guard base station for the Nest Secure home security system. The Nest Guard base station is at the heart of the new system. Intended to be placed near a home’s main entrance, the 3.7-inch-diameter, 2.1-inch-high unit (9.5cm, 5.3cm respectively) is about the size of a small bowl, and it features a speaker, and a keypad. The speaker acts as a siren if there’s a security breach. It can also tell you when a window or door is opened. 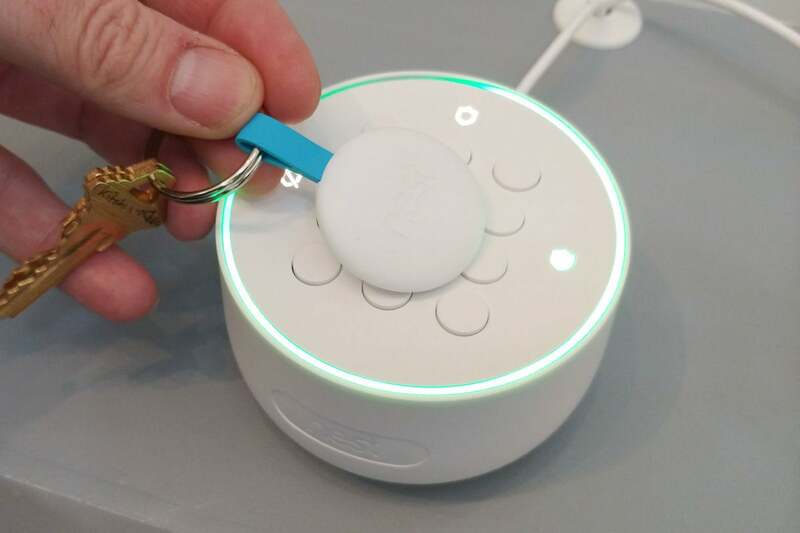 The system can be disarmed three ways: via a code typed into the keypad, with a tap-and-go NFC (near-field communication) dongle dubbed Nest Tag, or from the companion Nest smartphone app. The Nest Guard has a built-in motion sensor, too, which will attempt to figure out when you leave and send a reminder if you forget to arm the alarm. The unit has a USB power cord and a back-up battery. It works over your home Wi-Fi network, but there’s an option for cellular backup at an extra cost. A Nest Tag on the Nest Guard. These NFC tags make the system easy to use for everyone. Just touch the tag to the keypad on the Nest Guard and the alarm is disarmed. Because each tag has a unique identification number, they allow for an extra level of control: Tags can be enabled and disabled via the app, in case a tag is lost, and tags can be restricted to use at certain times. Nest said this could be used for, say, allowing a dog walker access to your home, but only between 2pm and 4pm on Wednesdays. All of this is customized via the app. 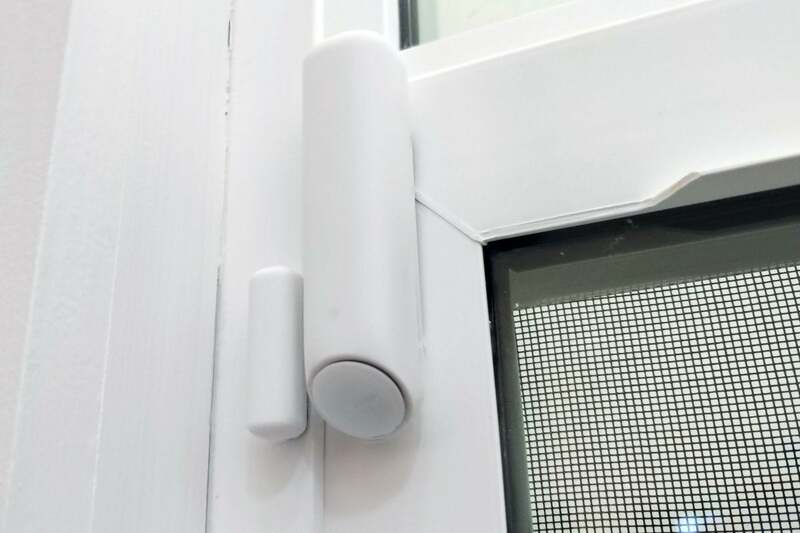 The Nest Detect sensor pair on a window. Nest Detect is the company’s take on the conventional door/window sensor, but it’s a good deal more intelligent than most. Like typical sensors, they come as a pair and rely on a magnetic field to detect when a door or window is open, but Nest says it’s built a magnetometer into the unit that can also detect the speed at which it’s opened. The unit also packs light and motion sensors, and it has a button that will temporarily disable the sensor. That could be useful if you need to open a door to let a pet in or leave the house before everyone else is awake. When the door is closed, the sensor rearms itself. The Nest Detect runs on a CR123 battery. 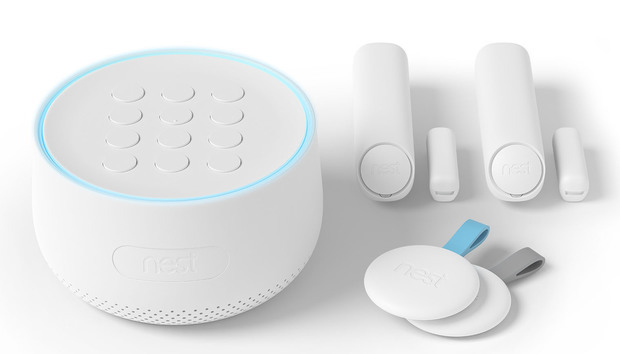 Nest Secure will connect to several other smart home devices from the company and others. An upcoming smart lock from Yale will tie into Nest Secure to automatically disarm the system when unlocked—either via a physical key or keycode—and the door can be remotely unlocked through the new Nest Hello video doorbell. 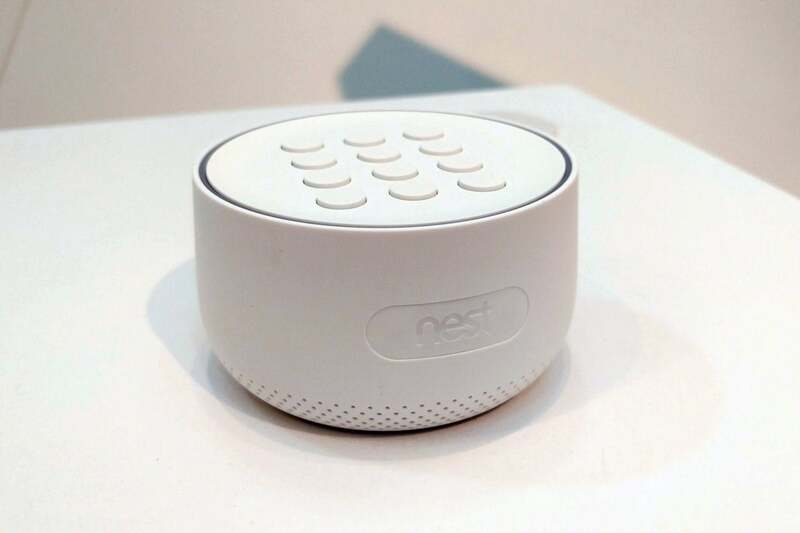 And through a new product called Nest Connect, the system will work with “Works with Nest” lights, switches and plugs from third parties (including LIFX and Philips Hue smart bulbs and Lutron smart switches), so a house can be made to appear occupied while no one is there. 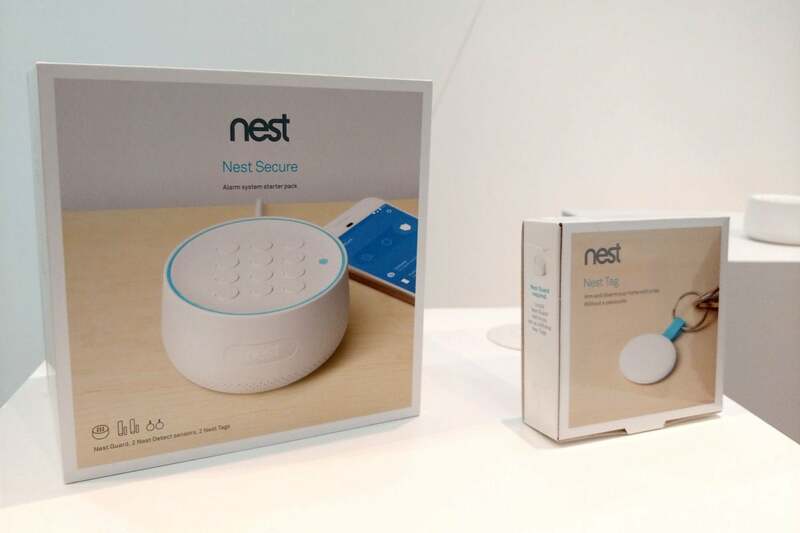 The Nest Secure starter pack box and a Nest Tag box. The Nest Secure will be available in November as a starter pack that includes the Nest Guard base station, two Nest Tags, and two Nest Detects for $499. Additional tags will cost $25, additional detectors are $59, and you’ll pay $5 per month if you want cellular backup. Third-party alarm monitoring via Moni will cost more. Nest didn’t announce pricing or whether subscribers would need to sign long-term contracts. You can sign up here to be notified when Moni’s Nest plans are announced. Nest will also offer a bundle with the new Nest Cam IQ Outdoor through Best Buy for $598, which is a $100 discount on buying the products separately. Nest also unveiled a new video doorbell, the Nest Hello, and a souped-up version of its outdoor home security camera, the Nest Cam IQ Outdoor. Click the preceding links for details on those new products.